Surfer's know the sunrise. We affectionately call our morning missions the 'dawn patrol' as we eagerly make our way to see what mother nature has brought for us today. I don't usually focus on landscapes, although I do see many that impact me greatly. Yesterday was a phenomenal sunrise. I don't know what it was, but when I woke up yesterday, my soul directed me to go seek it out. There is no logical explanation. The night before, I had no intention of shooting it, but in the darkness of the morning, I simply could not resist this unspoken pull that took me out the door. When I arrived at the top of Kirra Hill, there was nobody there. During Cyclone Winston, I joined more than thirty people holding cameras at the top of the same hill, all looking for a vantage point of the thundering Snapper to Kirra surf lineup. But the hill was lifeless this morning. The light was dull early, but flickers of red and orange started emanating in the distance. By this time, a cyclist had joined me at the top, as well as a lady on her morning walk. Then in happened. One minute of fire. We watched in awe. It was magnificent. And then it was over. As we moved to part ways, the cyclist looked at me with a faint, sheepish smile. I returned his gaze, an acknowledgement of what we had shared, a gift of nature that without rhyme or reason, had drawn us to the hill that morning. "Have a good day," said he. 24 hours later, I made my way to Greenmount Hill for the sunrise. Would it be the same? Would fire erupt again? Like the previous morning, there was nobody at the top of the hill. A glimmer of red started showing in the distance. 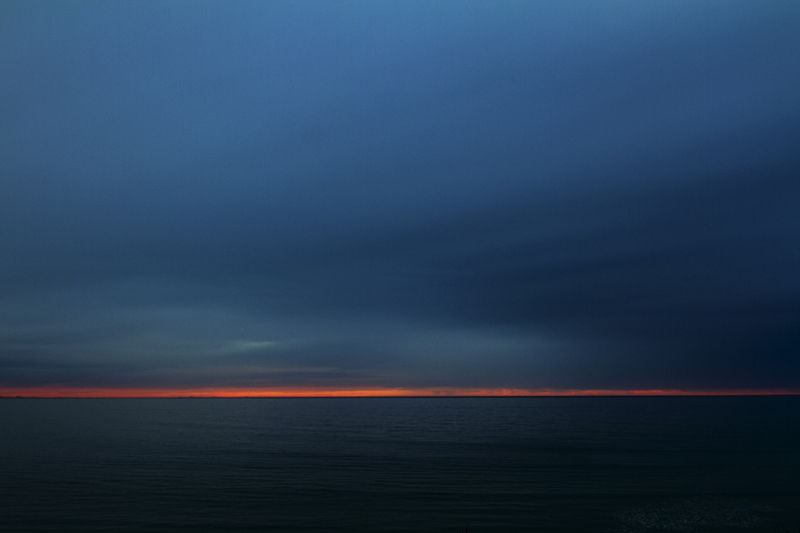 The most subtle line of fire lined the horizon, caressed by the darkness of sea and sky. It did not explode. It stayed controlled and orderly. It was divine. Two magnificent sunrises in 24 hours. One overt. One subtle. For startling impact, the first stuns. But for my own sentiments, the second was my favourite. It was not the star of the show, but it spoke with a soft yet intense purpose that captivated me and all my being.